While Face to Face comes with a note at the back advising on stress - induced disorders, and in particular on eating disorders, Glover raises her narrative to more than that of a 'problem novel'. It is a gripping story. Adelle, 15, is facing a number of stressful and emotionally devastating situations. Her successful politician father is in disgrace following incidents in which he was caught shoplifting women's underwear. The deaths of both of her much-loved grandparents and her mother's efforts to establish a new life for herself and Adelle, and her own adolescent concerns about self-image all combine to create a situation in which Adelle feels she is 'out of control'. Adelle is, however, fortunate that classmate Naomi befriends her, and is there to intervene and to summon help at a critical time for Adelle, and to support her on the way to recovery. Glover nicely layers the build-up of tension, leading the reader to believe, with Adelle, that she is seeing in the mirror bequeathed to her by her grandmother the ghost of sad, longhead Lucy, a young housemaid who died a horrible death in the attic of Adele's gran's house while pregnant with the child of the master of the house. 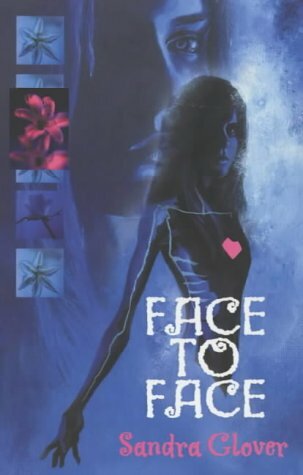 Glover then peels back the layers to reveal in the end that it is her own anorexic image that haunts Adelle, and it is only through confronting this that she can be cured.